December 1st Meeting: A Book Auction! Do not think EWGS will have this many books available at the book auction at the next meeting, Saturday, December 1st, 12:30pm, downtown Spokane Public Library. 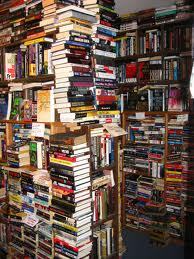 But I've seen the stacks that our librarians have been sorting and setting aside for this auction. 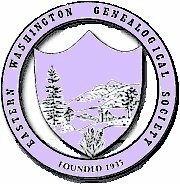 And I know that many EWGS members have donated genealogy-related books that they are no longer using to this auction. So it promises to be a splendid day! Hope you're there. When you enjoy cranberries or jellied cranberry sauce this Thanksgiving would you guess that your treat came from Washington state?? On December 5, 1914, the Ilwaco Cranberry Company incorporates under the laws of the State of Washington. The firm sought to capitalize upon the available bogland and climate in the vicinity of the Pacific County town to turn otherwise economically useless land into cash crops. Ilwaco Cranberry Company will not last long but the bogs will eventually be turned into the state's major cranberry producing region and one of the few places outside New England where cranberries are grown commercially. Commercial cranberry harvesting on the Long Beach Peninsula began in 1883 using vines imported from New Jersey. Cranberries grow in marsh environments, requiring acid peat soil and a moist climate. The fruit flourishes in only a few areas of the United States, primarily in Massachusetts, New Jersey, Wisconsin, Washington, and Oregon. 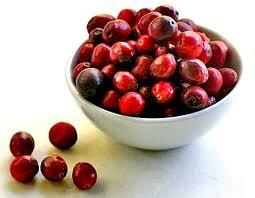 Native peoples consumed wild cranberries both as food and as medicine. 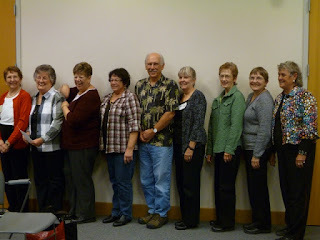 This is your EWGS Board for 2013.... Dolly, Lola, Juanita, Diane, Bill, Doris, Dianne, Mary and Donna. Missing is Doris. These good folks have stepped up to give their time and lend their talents to ensuring that EWGS has a bright future. Thank you, Good Folks! Phosphorus: Who Would Have Guessed? 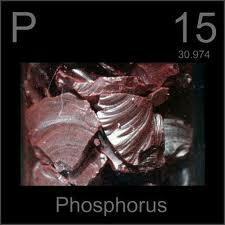 We remember (perhaps) from our chemistry classes that phosphorus is one of the primary elements. I do not recall how important phosphorus is in the human physiology, but in 1896 they really did not understand. Looking for an obituary in the Spokesman-Review for 14 October 1896, I came upon this teeny little bit: "Phosphorus In The Brain. The human brain contains a considerable proportion of phosphorus, varying from 1/20th to 1/30th of the whole mass. If the average weight of the brain be taken at 47 and 1/2 ounces it will then count phosphorus as amounting to 1 and 1/2 ounces. Phosphorus is found to be almost entirely wanting in the brains of idiots." And how, I wonder, did they know that? How many of you have heard trail whistles blowing? Ever given any thought to what those toots might mean? I live in the West Plains area and regularly hear those rather mournful sounds. It finally occurred to me to do a Google search to find out what they mean and sure enough...... do a locomotive horn signals yourself........ and there will appear a great little graph explaining the railroad toots and whistles! What I've heard most often is 2-long, 1-short and 1-long and sure enough that means "the train is approaching a public crossing." Did you know there used to be a railroad tunnel under a portion of Greenwood Cemetery? John Caskey, in his Historic Spokane Ghost Tour last week really piqued my interest and I've been doing some digging........ and will do more; stay tuned. But I learned that the Great Northern RR built the tunnel so its main line could connect with the Spokane, Portland & Seattle road. Work began in February 1909 at both the north and south ends of the tunnel and workers met within two inches in the middle on April 1, 1910. It was finally sealed off and the tracks removed in preparation for Expo '74. So where is this tunnel? If you park at the north end of Greenwood, right next to Mount Nebo, and walk to the back, rocky, wall you'll see where it most probably was.... the "V" indent into the cliffs is smothered by mounded vines and trees. Really, don't bother. But who would have thought? A railroad tunnel under Greenwood Cemetery. Doesn't Spokane have some fascinating history?